THE BOYZ, who received 5 awards of New Singer, has confirmed their debut Asian Tour performance. 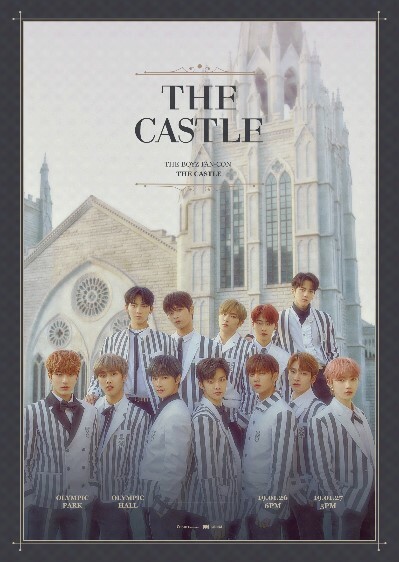 Creker Entertainment, agency of THE BOYZ, disclosed on the 18th morning as “Seoul as the start this end of the month, the FAN-CON of THE BOYZ <THE CASTLE> is expanding to Asia Tour, and <THE CASTLE>, first FAN-CON of THE BOYS after Debut is a combined event of fan meeting and concert, and it will be held on 26th~27th of this month at Olympic Hall of Olympic Park in Songpa-gu, Seoul. This concert, which all seats were sold out in 4 minutes from the opening of reservation, has been receiving hot interests where the k-pop fans in country .and abroad were requesting for additional concerts. With the request from the fans, THE BOYZ will first open their Asia Tour concert at Makuhari Metse Even Hall located in Chiba, Tokyo this coming May 8. Then from June, they will expand the concert area to the next level in 8 countries including Hong Kong, Thailand, Indonesia, Singapore, Taiwan, and Philippines. Regarding to the confirmation of the tour, the agency said, “As the members of THE BOYZ wished for meetings with overseas fans, the Asis tour this time is very special. Seoul Concert as the start, THE BOYZ will go to the fans through the performances with high perfection”. Meanwhile, THE BOYZ officially finished their activity with the 3rd mini title song ‘No Air’ for the past 6 weeks, and is working on their preparation for the Seoul FAN-CON to be held in end of this month. Further details regarding the Asia Tour will be announced soon in THE BOYZ official fan café & SNS account.